get the installer or the binary if you just want a portable version that doesn’t need to be installed. I personally use the binaries so i don’t have to install anything, but if you like to have some context menu features then you may opt for the installer. 3) Use Universal Extractor to decompress the content of the driver you just downloaded “LCVM_PCDRV_US_1_03_02.exe“. Uniextractor should ask you for the source file to extract, a destination where to decompress the file and to continue it will prompt which extraction method to use. This time choose ‘Not an InstallShield installer’ option and click ok. I installed the driver and application and both work on windows 7. LCVM_PCDRV_US_1_03_02.exe. Here it is important to change compatability options to make it working on Windows 7.
a. Get both files from creative labs (vista compatible). b. Go to the folder where you downloaded them to. c. Right click each file in turn and select troubleshoot compatibility. e. Select,The program worked in earlier versions of windows. 4) Now we need to use Universal Extractor for a second time on this extracter executable, but this time we will choose another Extract Method. So apply Universal Extractor to the extracted “LCVM_PCDRV_US_1_03_02.exe” file; choose a destination folder and when prompted for the Extraction Method this time select ‘E_Wise Unpacker‘. You should end up with two extracted folders; one MAINDIR folder and a TEMP one. In the MAINDIR folder you should now have the driver setup files. 5) What we need to do right now is to modify the content of some of this files so that we tell Windows 7 that they are compatible with it’s drivers standard. Be sure to change it in all 3 files and now you should be finally be able to install the drivers correctly. Get ready to resurrect your beloved webcam. Double click CtDrvStp.exe and good luck! Previous PostWhat is the real job of most people nowadays who work with computers – Sad but True fact :)Next PostWeb Wedevelopment basics – What is REST (Representational state transfer) and why it is important to programming? 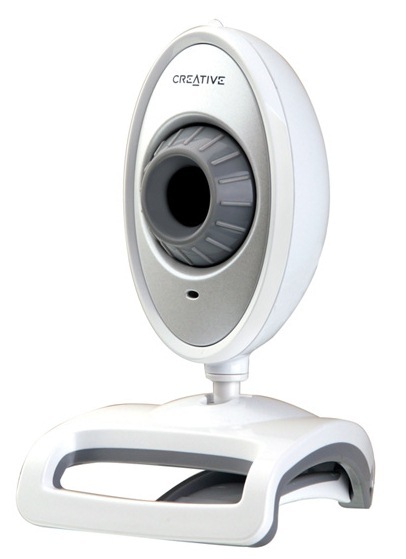 It is very helpful article about INSTALL CREATIVE LABS WEBCAM LIVE VF0220 because this is very important software for webcam so thanks for information.